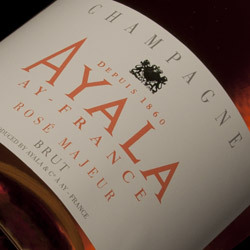 Join us on Friday, February 10th from 6 pm to 9 pm at our store for a tasting of Ayala Champagne. Located in the village of Aÿ, a stone’s throw from the Marne River in the heart of the Champagne region, Champagne Ayala has been crafting some of the purest, most elegant expressions of Brut and Brut Rosé Champagnes available. Vincent from Cognac One will be with us in the store to walk you through tasting these two wines and answer any questions you may have about Champagne. Previous: Crepes and Ciders… Vive la Chandeleur! Vive Groundhog Day!